Pulled pork sliders may get you through four quarters, but the exhausting end of the game calls for something indulgent and sweet..
Tailgating in the South is synonymous with big gatherings of friends and family, fabulous food, and of course, 60 minutes of exciting, nail-biting football. You may arrive at the stadium hours before kickoff, set up tents and tables on the grounds, and lay out an eye-popping tailgate menu of smoked wings, pulled pork sandwiches, and an assortment of chips and dips. If you watch the game at home you can still tailgate in your kitchen or backyard with a pot of slow-cooker soup and homemade appetizers. Regardless of where I go to cheer on my favorite team, my favorite dish to make for a tailgate is a Mississippi Mud Cake, the perfect sweet ending to a hair-raising day on the gridiron. First, here are the practical reasons I like to make this cake. A Mississippi Mud Cake is the ideal dessert for transporting to a function. Made in a jellyroll pan, you simply let the cake cool completely and then wrap it in a couple of layers of aluminum foil. Ready for transport. Make the cake in a disposable pan and you don’t have to worry about bringing home an empty dish. If you don’t like using disposable products, make the cake in this nifty aluminum cake pan with lid: use a towel to wrap the pan for extra protection, the lid is sturdy enough so that you can stack another dish on top, and you will not be adding anything to the trash pile. Regardless of which pan you choose, this is a classic “bake-and-take” recipe. 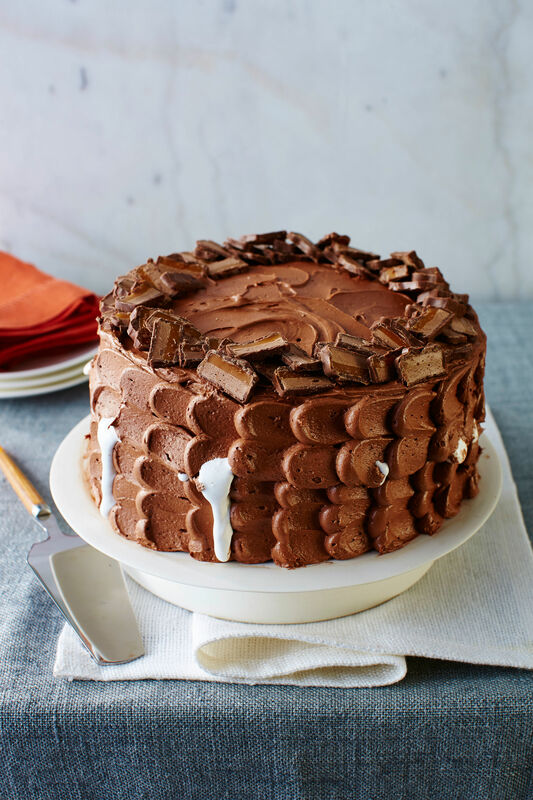 Bake it, take it, and serve the cake out of the same pan; you do not need to fuss with turning out the layers and creating a perfectly frosted tall cake. Save that for the holidays! If you do not want to serve the cake straight out of an aluminum pan, you can cut it into squares and place them a pretty serving dish. Practical reasons aside, I enjoy making a Mississippi Mud Cake because it is simply delicious: a brownie-type cake topping with melted marshmallows, drizzled with chocolate frosting, and sprinkled with toasted pecans. You can even turn the recipe into cupcakes, and try these delicious twists on the Mississippi Mud madness. I often leave out the pecans (some people may have nut allergies), but I have never run into a single guest who did not enjoy this cake and go back for seconds. Besides tailgate events, this top-rated, reader favorite sheet cake is ideal for church picnics, family reunions, and school parties. Served warm or at room (tailgate) temperature, a Mississippi Mud Cake puts the finishing touch on your tailgate event.